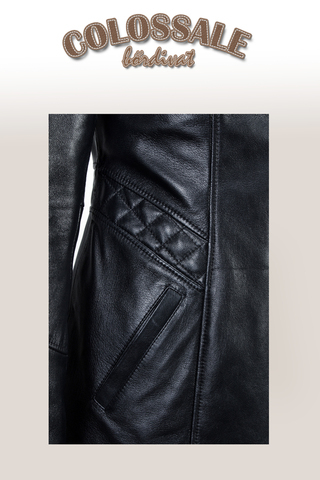 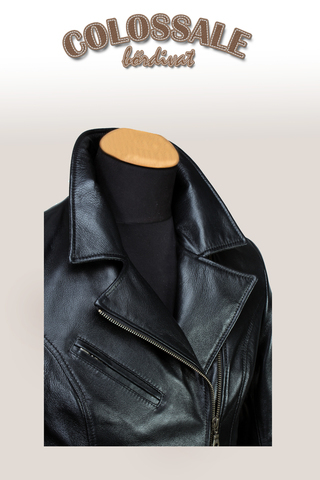 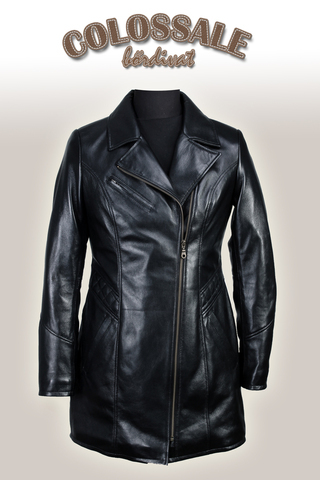 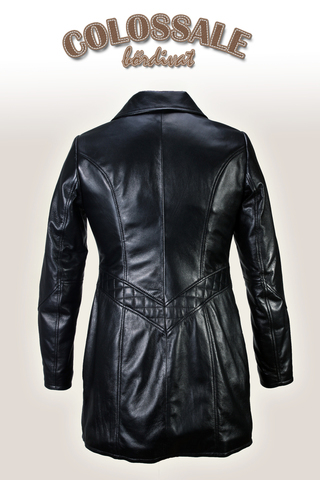 3/4 winterized, slim leather jacket for women made with zipped pockets. 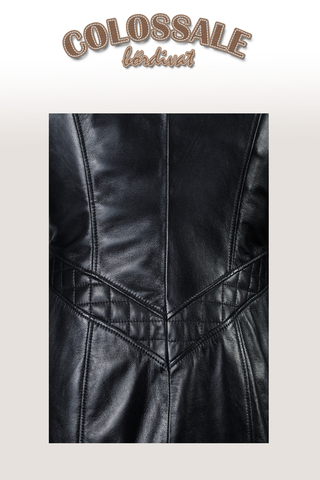 In the waist line, we decorated it with steppling to emphasize the femininity. 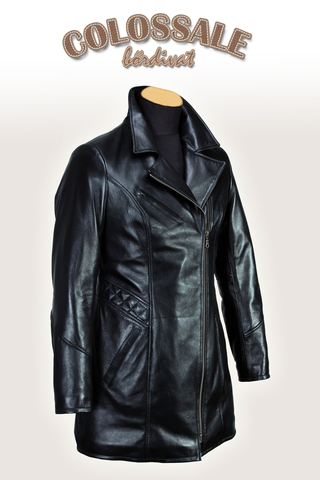 You can also apply this model to suit your size in your selected color.